Monday, 9/1 This was a great information which made us all happy! The local TV station interviewed a director of DCCA(Department of Community & Cultural Affairs), a head of HPO, asking her a status of our permit. She answered that they are going to give KUENTAI-USA an approval on Tuesday (tomorrow) to let us start digging. We immediately called everyone who participated on this project (backhoe operator, volunteers, local workers, and archaeologists) to get ready by 8:00am to start the project once we hear "ok" directly from HPO. Tuesday, 9/2 Everyone was excited about starting the field work. Most of them arrived on site earlier than 8:00am to get themselves ready. I called a Directer of HPO to get a final answer, but the line was busy. I called another archaeologist to see if he is on the way to the site, and he told me that the Director of HPO and the archaeologist was having a meeting now. ●　"JPAC do not intend to come for recovery". 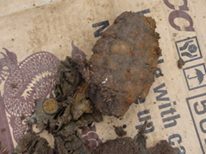 1) OPTION #1: To have the archaologist do the recovery on behalf of JPAC. ・　Set up the tent and have someone monitor the site during night to secure the site. 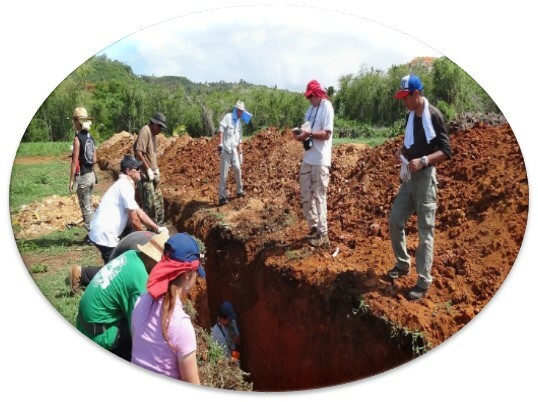 ・　Work with the certified professional archaeologist and have him record the details of the findings (taking photos, mapping, etc), by using the same methods that JPAC usually utilizes. 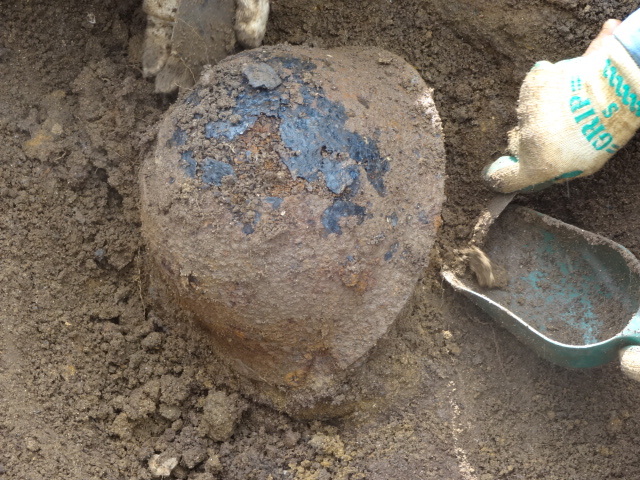 ・　It takes about 3 days per burial to do the further investigation. 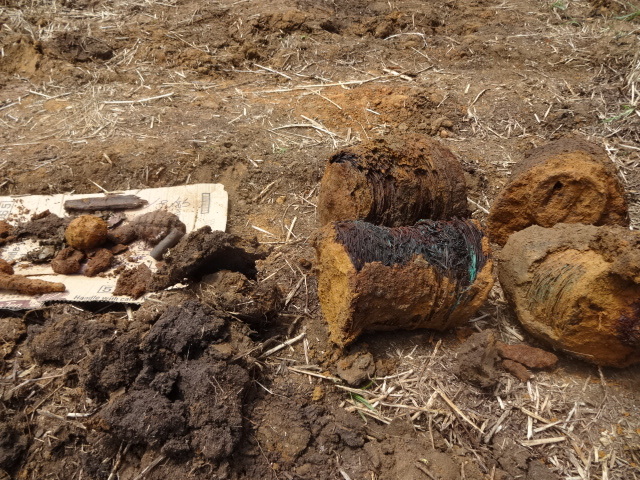 ・　It is archaeologist who remove the remains out of soil and bring to HPO to keep, and wait until the forensic team from JPAC to do the forensic analysis. 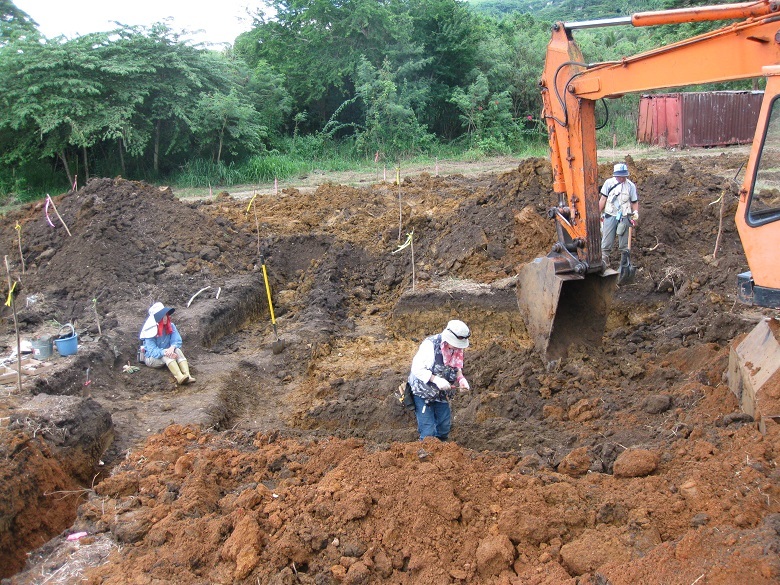 ・　JPAC cannot cover the cost, and it is KUENTAI-USA, as an applicant of this project, to pay for the archaeologist to let them do the work on behalf of JPAC. The estimate is about $3,000 per burial. 2) OPTION #2: To only locate the burials. 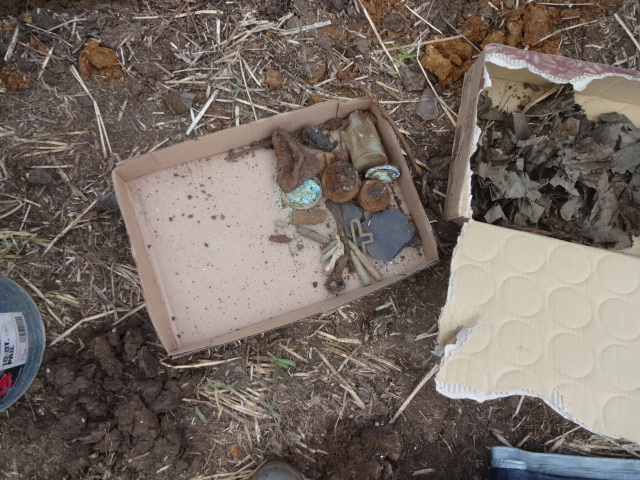 ・　When the probable human remains are discovered, we can only take photos, record the remains, and then bury them again. ・　We can also put the stick on top of the burial to record the location, and have the professional surveyor to do the further investigation. 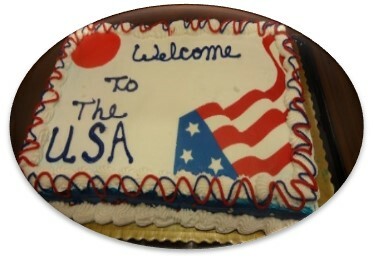 ・　Therefore, the KUENTAI-USA is not allowed to expose the remains. I shared this with our members, because they are our supporters, and had a discussion what we should do. Since our group does not enough funds to cover the cost in Option 1, we could only choose Option 2. I was so frustrated, mad, couldn't find any words to say. And it was aroud 11:00am when the archaeologists were going to leave the site, he tapped on my sholder, with a gentle smile, saying that "since we are here on the site in a half day, we will ask you to pay for this, ok?" How can a person ask for his payment for being on site for only an hour? What also made me surprized was that I received a call from HPO Director, and she told me that their Attorney General told her that it usually takes about a week to review the Research Design, so they haven’t finished reviewing yet. It should be done sometime tomorrow, so she told me that she would let me know the progress of the reviewing tomorrow. 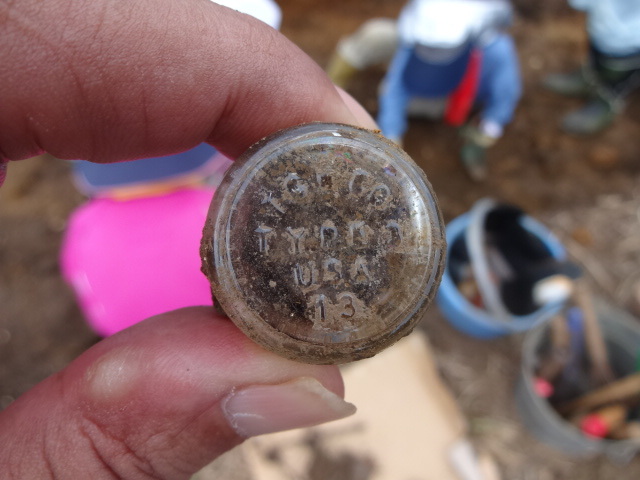 In the late afternoon, at around 15:30, a Congressman who we know well stopped by the site and helped us call HPO to see if they received anything from archaeologist. But I received a call from the archaeologist, saying that he submitted the addendum at around 13:30 today. I was so shocked by hearing from them that we need to bear the cost of recovery. It sounds to me that the U.S. government put us bear the cost of recovery of the US remains. I wonder if JPAC really wants to recover the fallen servicemen. At night, I called an officer that I have a contact in DoD, asked for his advice on this current situation. "JPAC do not intend to come for recovery, is that ture?" "I don't know the detail, but it is probably yes because they said that they don't have budget". 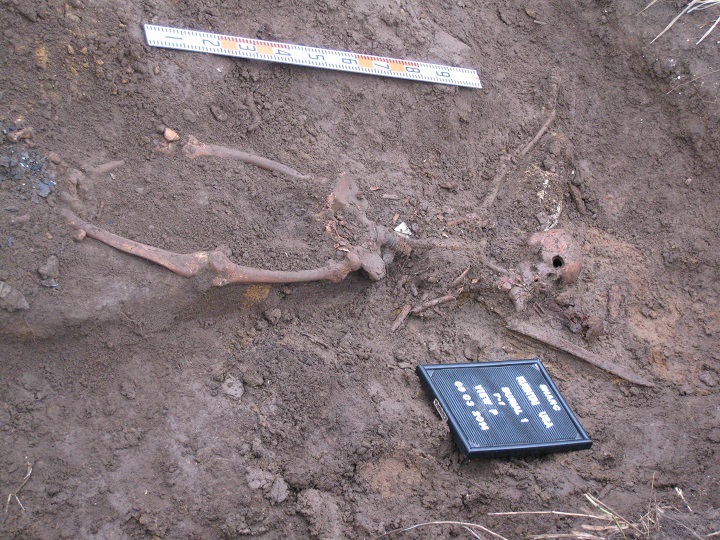 "Does US government really want to recover the remains of the soldiers?" "It takes time for the government to process one thing, and it is actually designed that way. So you need to be patient with that". He even told me that KUENTAI-USA is a non-government organization and can't get any financial support from the government, only the ones who are under the JPAC can do that. No wonder the 43,000 soldiers from WWII died in the Pacific are not returned home yet. Wednesday, 9/3 After waiting for 4 hours in the morning, we were finally able to receive the approval letter from HPO. Everyone was excited that we were able to start the field work. We found one set of human remains. From the artifact he carries with him, he is probably a Japanese soldier. 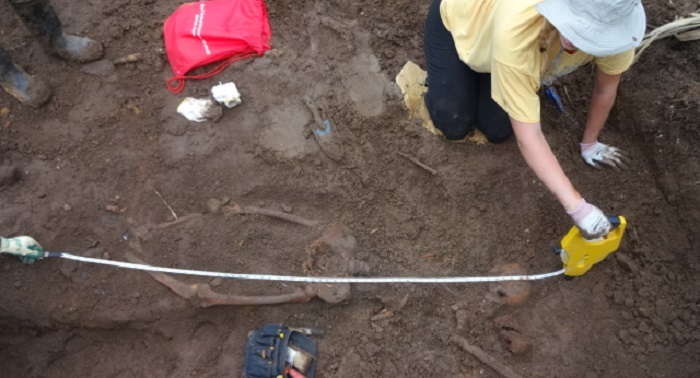 On the condition which was given by HPO; The remains are quickly recorded and re-buried, putting the marker on the ground so that the professional surveyor can be called and do the in-depth investigation. As a person from the KUENTAI-USA, if the remians are not the US soldier, I would have to say that today was a bad day, and I will work hard to find the US soldier. On the other hand, as a Japanese, it is very very hard for me to accept that I need to cover him again, "pending further consultations with relevant parties". I wonder how he can be finally recovered in this condition that the Japanese government has no plan to work for the recovery effort on Saipan. We will continue digging tomorrow, hoping we can find more remians. 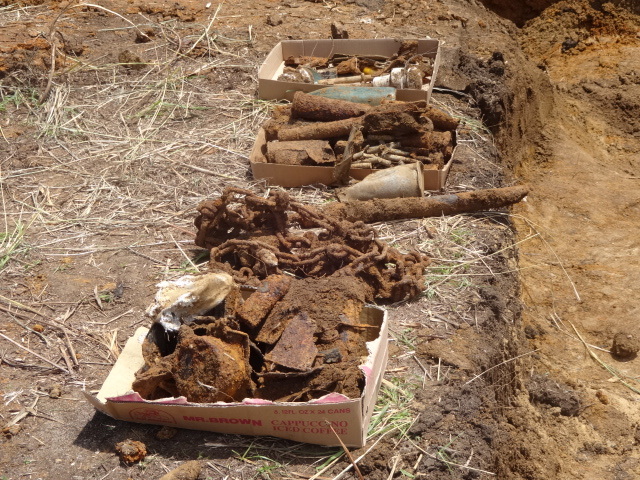 We haven't find the U.S. serviceman yet, but we found many artifacts today. Friday, 9/5 Today was our 3rd day of excavation. 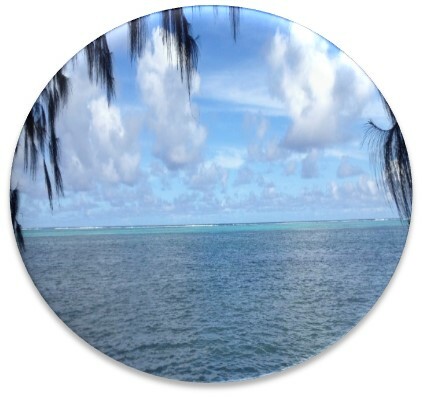 It is supposed to be a rainy season here on Saipan, but luckily, it doesn't rain that much yet. 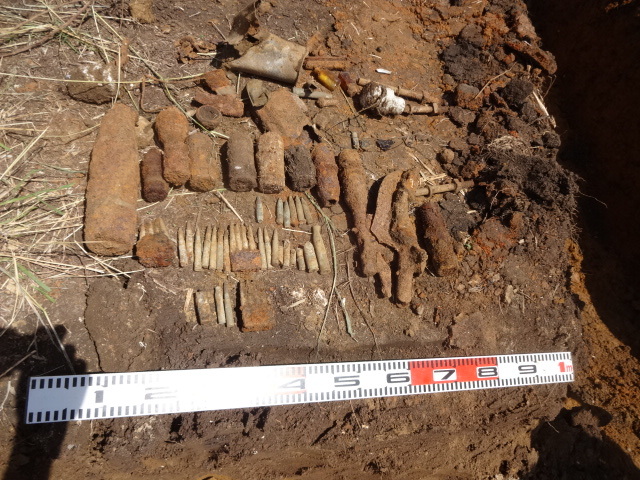 Today we found many artifacts, but not the US soldiers. We feel that we are getting closer, so hopefully we can find something tomorrow. And also hope to be a sunny day! The color of the earth is very important for us to determin the depth of trench to be made. The change of the earth color tells us if the earth is original or recently backfilled. The last trench we made today was really deep. Because the earth color which looks like to be backfilled during war time goes very deep, so we ended up digging about 6 feet! 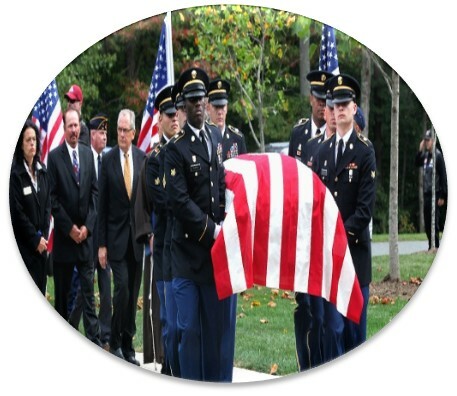 The Chairman of KUENTAI-USA said to me that this reminds him a time when they digged an American soldier, Bernard Gavrin, which was positively identified and will be buried in Arlington National Cemetary on September 12th. He was also discovered on the same property. In terms of Bernard Gavrin, DPMO released the News Release regarding the identification. You can check it from here. After reading it, I felt so sad that the information was not right. 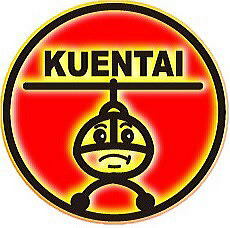 It sounded to me that they don't want to give a credit to Kuentai. But we couldn't find the fallen soldiers yet. It is pretty difficult to find them in such a short time. We though our original schedule for 14 days was already too short to fully investigate the property, so the 6 days work is extremely challenging. We don't want to excuse just because the time was shorter than our original plan, so we will just do our best to maximize the efficiency and minimize the waste! By the way, we found this thing today. We have no idea what it is, so if anyone knows about this, I appreciate if you can share the information with us. Monday, 9/8 It was our last day for the field work. Because we had only limited time, we focused on searching the fox holes where the soldiers died in many cases. 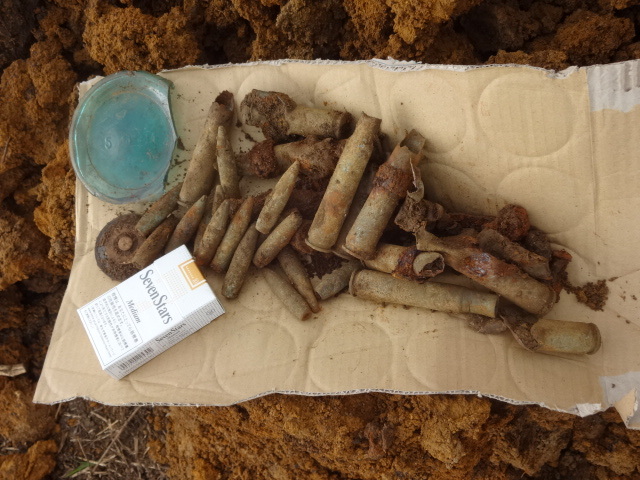 Unfortunately, we couldn't find any fallen servicemen, but just like yesterday, we found different kinds of artifacts. If the afternoon, after re-charging our energy by eating lunch box, it started to rain and poured so hard. 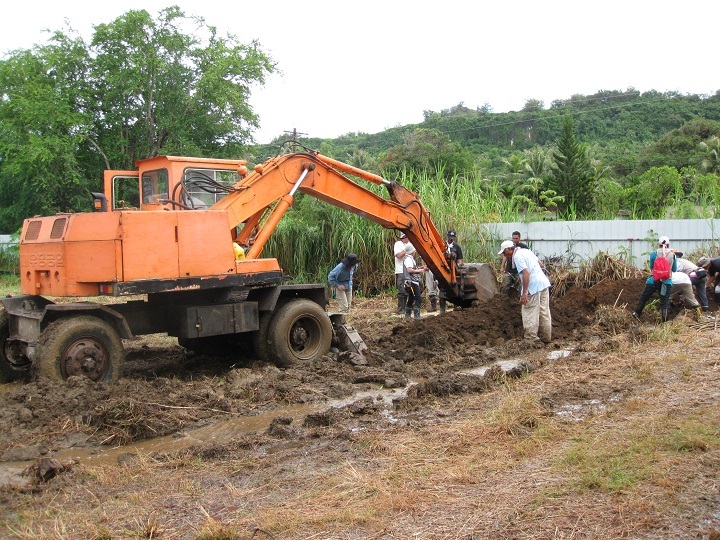 The field quickly became muddy and we couldn't use backhoes anymore. 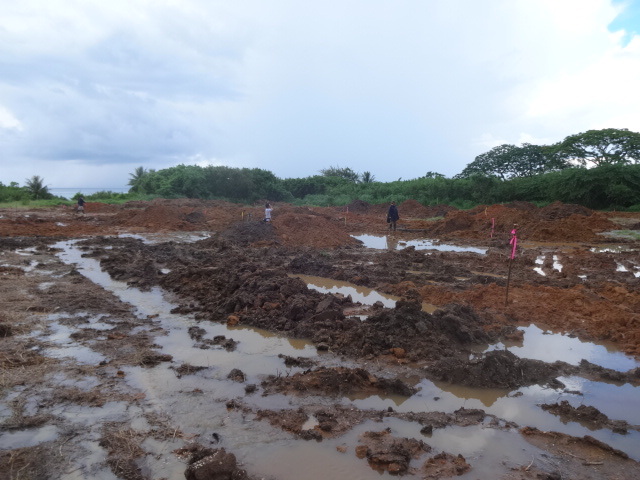 In total, we were only able to excavate 35% of the entire property. We do not want to give up. We are going to negotiate with the land owner tomorrow, and will finish the rest of land first. And then we will come back to work for the Phase 2. Wednesday, 9/10 It was rainning so hard yesterday. I realized that it was actually a better result to wrap up the field work on Monday before it rained on Tuesday. 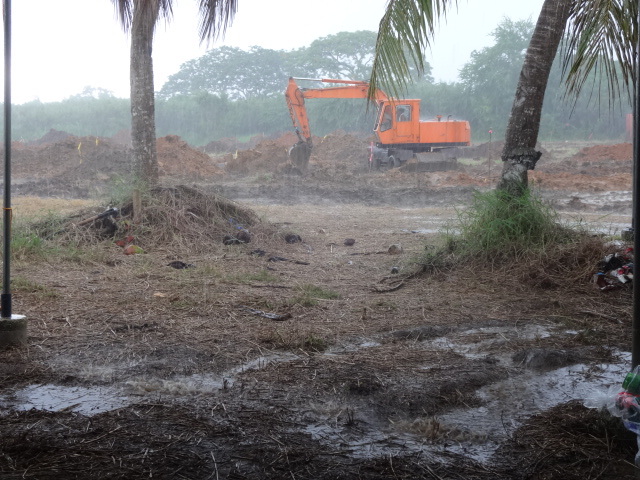 Yesterday, we talked to the local representative of the property, and asked him if we can somehow continue our field investigation to completely recover all the fallen soldiers before the development starts. He told us that, it is actually a venture capital from Singapore who designes the project of the development. And it is not going to be a resort hotel, but would be a condominium subdivision. The change of the plan requires them to make some arrangement, so he agreed with the extention of our work on their property. We are going to hear the official response from them soon, and once it is confirmed, we will come back again to recover the rest.